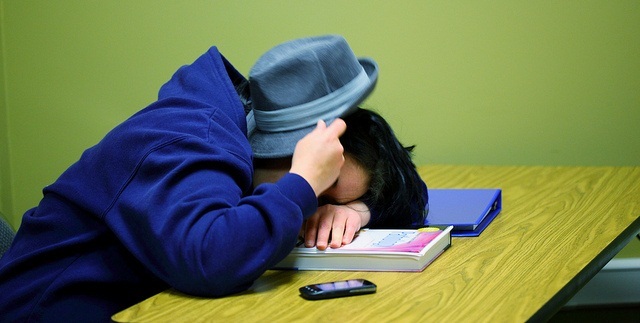 Will Shying Away from Classrooms Make Students Better Learners? In the latest article of Edudemic, writer Jeff Dunn took a closer look at an innovative new school built in Stockholm Sweden. An architect named Rosan Bosch, who wanted to create an environment that encouraged both collaboration and the creative potential of the individual, designed the “classroom-less” school. The school’s curriculum is based on learning levels and not the age of the child. It is free to anyone who has a tax-paying parent in Sweden. The first of its kind, numerous educators are wondering if this school will birth new levels of creativity and curiosity? So what are the benefits to a classroom-less model? Creativity is not always an orderly process. Take a force of nature like the rainforest. There are unbelievable eco-systems, animals, and other almost magical properties growing in the lush dense forests. To the average eye, it might look chaotic, disorderly, and messy. However, there is a pulse of life and creativity, all the way down to the molecular level. Learning is similar. Kids need a lot of wide space to test the limits of the environment- physically, emotionally, intellectually, and socially. Oftentimes, they need space to create a mess, so that order can be found. As technology continues to push the boundaries of the classroom potential, there becomes less of a need for shelves, materials, and other resources that are now stored safely and compactly into a computer. Without cumbersome textbooks and antiquated slide projectors, kids can lie on the floor looking at a presentation on a laptop, or bring a tablet into a cozy little nook to read. When a child can posture his or her body in a position that promotes concentration and focus, there is a much higher chance that he or she will absorb the information more fully. Without classrooms, children aren’t limited to one teacher or group of kids. Providing opportunities to interact with children that are older or younger helps to develop important social skills that are useful in the real world. A classroom-less model also eliminates the problems of placing one student with a particular teacher for an entire year. Sometimes the learning styles of the teacher and student clash, giving the child no way to learn outside of that teacher’s style. With multiple teachers and groups of kids, there are fewer opportunities for children to get behind simply because of the environment. Group projects can be enriched by multi-age collaboration. Older kids can help younger children flesh out ideas, while the younger kids can stretch themselves socially by working with an older child. For years, educators have noticed that classroom success doesn’t always equate to job success in the future. Since the traditional classroom has only focused on one type of learning style, children with kinesthetic learning abilities have floundered in this environment. Children, who need to move in order to think, have the freedom to do so. A classroom-less model takes all learning styles into consideration. For example, kids that have wild imaginations need opportunities to test out their ideas in a space that doesn’t distract other children who might learn differently. The Swedish school has taken all of this into consideration. There are traditional tables and chairs, but also places that look like cozy book nooks, wild shaped furniture for children to climb on, rooms for group collaboration, and couches designed for free-thinking and brainstorming. The lack of structure in some areas promotes creativity, while the traditional tables and chairs provides a place to work through the traditional model if necessary. A non-traditional space for learning creates the opportunity for students to take their own education more seriously. Kids can take the initiative to find a corner to absorb a new book. Groups can argue and debate through issues in a room designed for collaboration. Children, who need to move in order to think, have the freedom to do so. A classroom-less model takes all learning styles into consideration. No longer are kids evaluated by one narrow assessment or discriminated against because they need to make a mess in order to flesh out the next great idea. If Sweden’s new model produces promising results, how long will it be before other schools begin to notice and implement these practices? I like clasroomless model teaching.